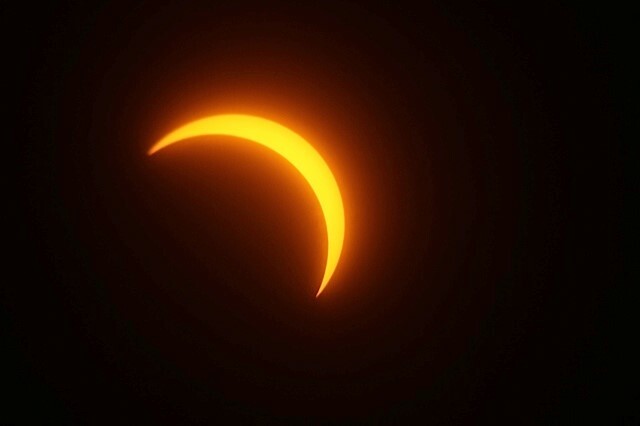 One major vendor of “Eclipse Glasses” has issued a recall for theirs. Click here for details of the warning and the recall. 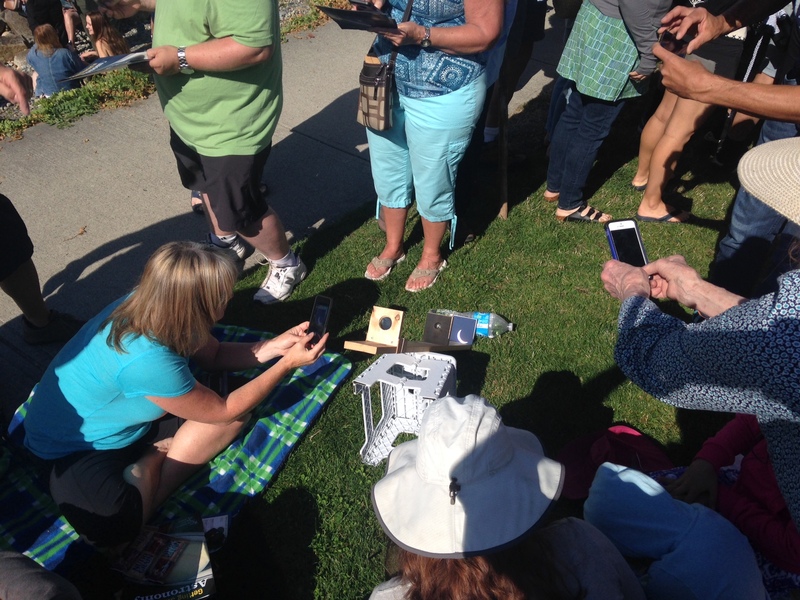 At the observing event scheduled for Davis Bay nect Monday, only approved telescopes and filters will be available. On Monday, August 21st, 2017, North America will be treated to a solar eclipse. For more details click here. 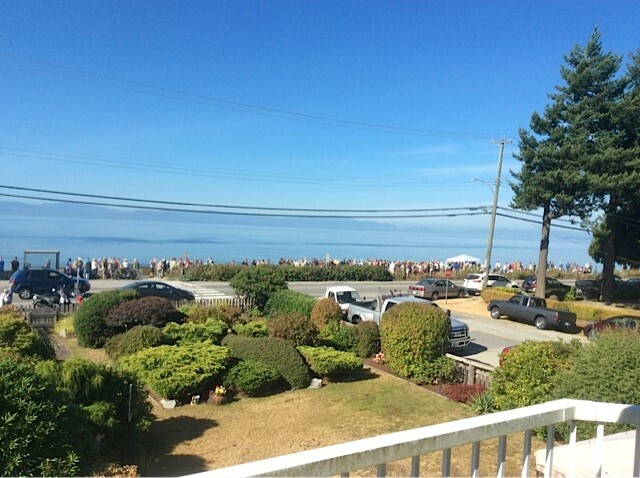 On the day of the eclipse, August 21st, the Sunshine Coast RASC Centre is planning a safe public observing session on the sea wall at Davis Bay starting at 08:30am. 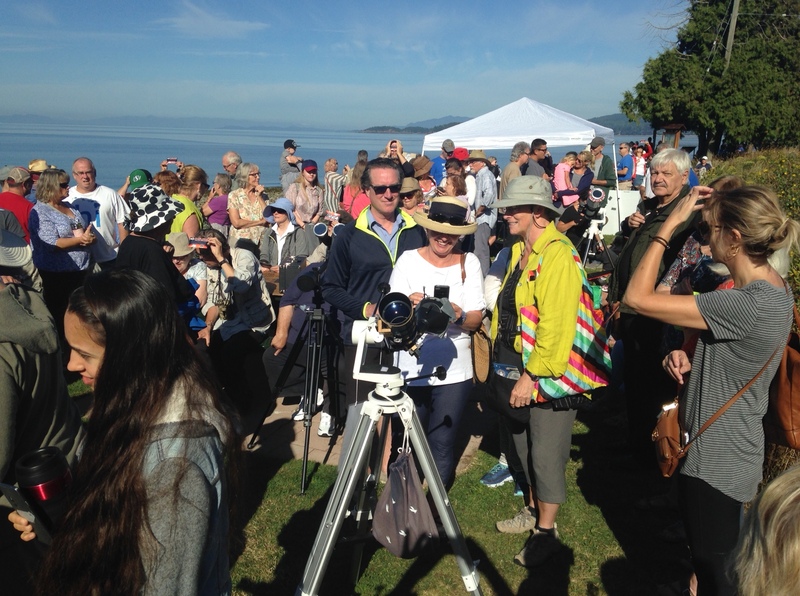 We will have club members on-hand with solar telescopes, binoculars and filters available for everyone to safely observe this special event. It has been 38 years since the last one and it will be 7 years until the next one. Don’t miss this one! Please note: in case of cloudy weather, the eclipse may not be visible. Be sure to check the centre’s web site on the day of the eclipse to see if the observing event is a GO or a NO GO. Last Friday (Aug 4th, I decided to see whether the current large sunspot (AR2670) could be seen through the forest fire haze. 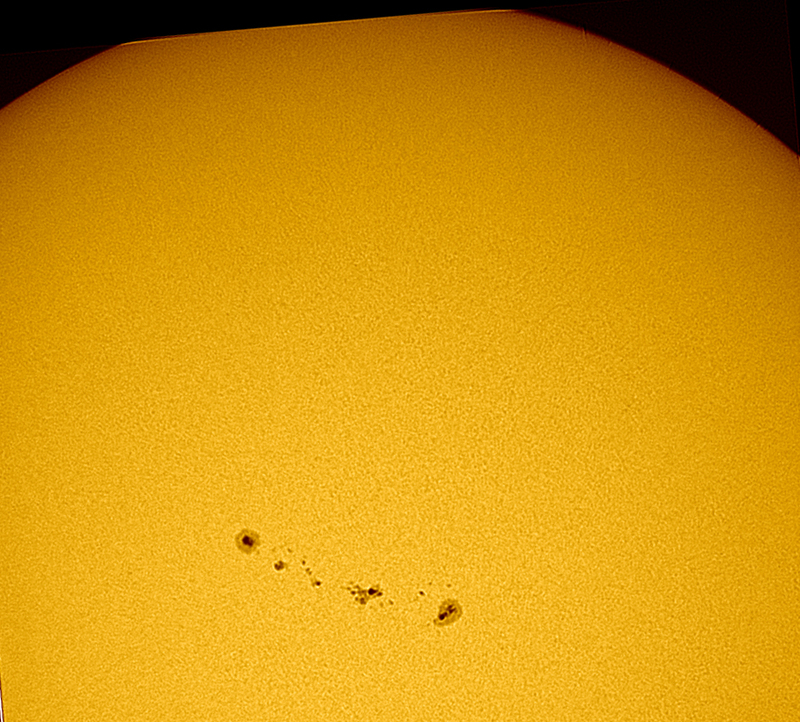 (This current sunspot is the remains of the massive AR2665 from 3 weeks ago.) In white light the view was blurred and the camera image was worse, but in the Hydrogen alpha scope lots of details were still visible and I took this image. The area of extreme activity surrounding the sunspot is fairly easy to see, as is the spot itself. The groupings of prominences were a pleasant surprise too. 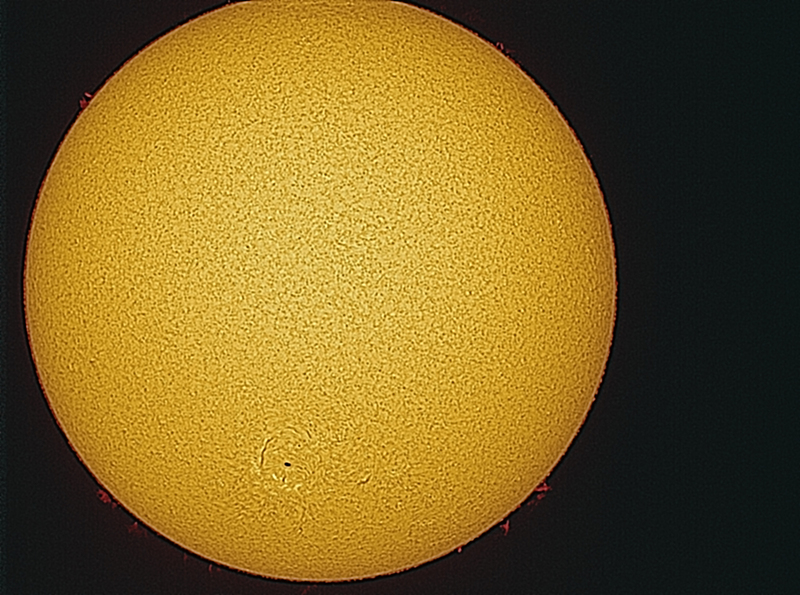 The image was taken at the observatory at noon with a Lunt DS60 and Chameleon camera, it is a stack of 100 images. Many thanks to Ron Dickinson of Sunshine Coast Pest Control for his work at the observatory. 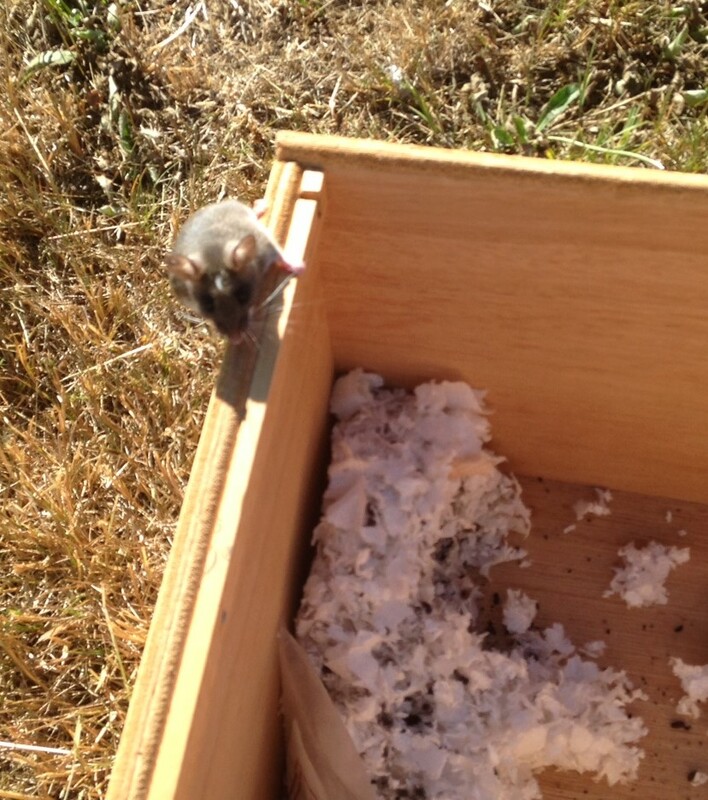 For the second year in a row he has donated his services to the cause of keeping the building free of mice. They like eating cable insulation, taking over file cabinets etc., making themselves a general nuisance!